The $1,000 iPhone X has been the most popular iPhone ever since it launched: it is the first iPhone with the new Face ID system, a full, edge-to-edge screen and a convenient new gesture navigation system. It's also made of glass, though, and dropping the phone and breaking that glass back could result in some hefty repair charges. That is why it is crucial to have a good case on that will protect the phone. This here Spigen Classic C1 case is not only durable and offers great protection, but it does one more thing: it gives your phone a unique look and even personality. Modeled after one of the most well-known Apple designs of all time, the colorful and translucent iMac G3, the Spigen C1 has the quirky looks and styling of that era. It's comprised of two parts, a softer, rubber inner shell that provides the cushioning and shock protection, as well as a hard, plastic secondary layer that comes with what looks like the inner working of a motherboard printed out for everyone to see. The bottom part then snaps separately and you are all set with this case. While the Spigen C1 is not the thinnest case out there, it is not too thick either and it offers excellent amount of protection and style. It's also just slightly chubby, one more element that makes it look like the iMac G3. 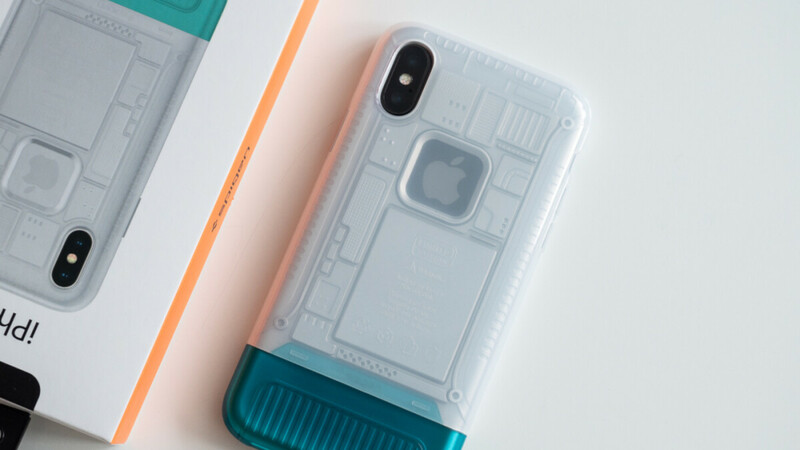 You can take a closer look at the different color options with this case, and if you like it, you can get it on Amazon for $40 by following the link right below. You have no clue what this case represents, do you? If only they have a thinner version of this case..